Benjamin Nathans teaches at the University of Pennsylvania and is the author of Beyond the Pale: The Jewish Encounter With Late Imperial Russia. He is writing a history of the Soviet dissident movement. 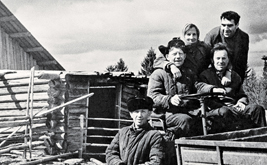 Why did different segments of the Soviet population experience Khrushchev’s reforms in radically different ways?